National Geographic's Adventure Magazine rated hiking the Zion National Park - Virgin River Narrows number five in its list of America's best 100 adventures. The Zion Narrows is a classic, not to be missed, and we can help you do it right. Stop in our shop and inquire about current conditions and shuttle information. We also have a full line of Zion Narrows rental gear; Canyoneering Shoes, Wet Suits, Dry Suits and Walking Sticks, that will allow you to comfortably enjoy the Narrows any time of the year. The Zion Narrows in Zion National Park is not a maintained trail - you are hiking in the cold water of the Virgin River on slippery rocks. However, with proper equipment and good judgment, dangers such as hypothermia are minimized and you can enjoy the rewards of traveling through a spectacular narrow gorge dotted with sandstone grottos and hanging gardens amongst walls soaring up to 2000 feet above. This is your easiest option — no special shuttle or permit required - go as far in the Zion Narrows as you feel comfortable. Take the free park shuttle to the Temple of Sinewava, walk one mile to the end of the paved walkway, and begin hiking up the river. Two hours upstream, at the intersection with Orderville Canyon, hikers will encounter the narrowest and most spectacular section of the Zion Narrows. Round trip to Orderville Canyon and back is 6 miles and takes 4-5 hours. Permits can now also be reserved online although according to the Park Service "depending upon the back country zone, only 40%-60% of the total number of back country permits will be available through reservations. The remainder of permits will be available as walk-in permits." And don't forget you will also need to arrange an early morning shuttle to take you to the Ranch. Make the Zion Narrows hike a relaxing two-day affair by overnighting at one of 12 numbered campsites along the route. Only one-night stays are allowed and campsites are assigned on a first-come, first-served basis upon completion of a back country permit. Only two sites can accommodate groups larger than six. June to September are the best months – days are longer and the water warmer. The road to Chamberlain’s Ranch can be impassable from December to April. Thunderstorms and therefore flash flood danger are greatest during the months of July and August. Flash floods are the most serious hazard in the Zion Narrows. August is the month with the heaviest precipitation while June is the driest. The monsoon season begins in mid-July and continues through mid-September so if you are considering hiking the Zion Narrows during this time period, get the most updated weather information possible from our shop or the Zion National Park Back country Desk. In late July, 1998, two hikers were swept away by swift currents caused by a flash flood. Remember that your safety is your responsibility. If you decide to hike the Zion Narrows during winter months, you will need to take greater precaution to ward off hypothermia and therefore a dry suit or at the very least, a wet suit becomes an essential item. We want you to have a memorable and pleasurable experience in the Zion Narrows. We rent and sell gear that we believe in and use ourselves. We also are committed to staying current on the conditions you will be facing with the adventure you choose. Stop by and we’ll get you set up. FOOTWEAR: Sturdy hiking shoes will greatly enhance your experience. You will need a good combination of ankle protection and traction for the wet conditions you’ll encounter. Sandals are not recommended. If you rent only one item for this hike, make it a pair of five ten canyoneers, without question the best river walking shoe out there. Canyoneers stick to wet boulders like glue, offer decent ankle support and when used with a neoprene sock, keep your feet warm. More than any other piece of gear (with the exception perhaps of hiking poles), five ten canyoneers will greatly enhance your Zion Narrows experience. HIKING POLES: The Zion National Park Service suggests a “walking stick”. We do too. They are great for maintaining balance and thereby reduce fatigue and possible injury. If you can’t fit yours on the plane or in your luggage don’t fear we have some for rent. A staff, trekking pole or old ski pole is a must. Trust us. WATERPROOF BAGS: For the best protection consider dry bags. What goes in these bags… anything you don’t want to get wet, like a spare set of clothes, your non-waterproof camera, etc. Bonus!- you can also use dry bags to transport water back to your camp. Ziploc bags are the least expensive way to protect your valuables. Just double bag them and be careful about punctures. DRINKING WATER: Virgin River water in the Zion Narrows is not safe to drink untreated. Either carry all the water you will need or bring a water filter (removes bacteria and protozoan cysts like Giardia from contaminated water) or purifier (a purifier also removes viruses). CLOTHING: What clothing to bring depends on several factors: time of year, how easily you get cold, etc. Although you will probably be hiking in shorts, you should always carry a spare set of warm clothing in case of emergency. And warm clothing means synthetic or wool, not cotton. Fleece, synchilla, capilene, polypropylene – no matter what you call it, all these synthetic fabrics keep you warm when wet thereby helping to prevent hypothermia. If you choose to hike during the off-season, seriously consider renting a dry suit. 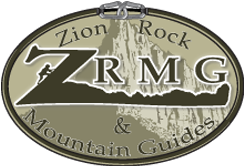 Zion Rock and Mountain Guides provides shuttle service to the Zion Narrows (Chamberlain’s Ranch) trail head. Zion Narrows Special!! Canyon Outfitting and Shuttle Package Rates Rent any Zion Narrows/Canyon Outfitting Package and pay $3.00 less for your shuttle. Daily Departures (May-October) As road conditions Permit. Weather may affect earlier and later dates. Reservations are required for all shuttles. You will need a permit for narrows top down and a park pass.